What Are Child Rearing Practices? The way you raise your children can affect how successful they will be later in life. According to psychologist Nancy Darling, in the article "Parenting Style and Its Correlates," child psychology researchers identify four different types of child rearing practices that affect children's life outcomes. Differences among the four parenting styles lie mainly in whether a parent creates many or few rules for his child and whether a parent is emotionally responsive or neglectful. 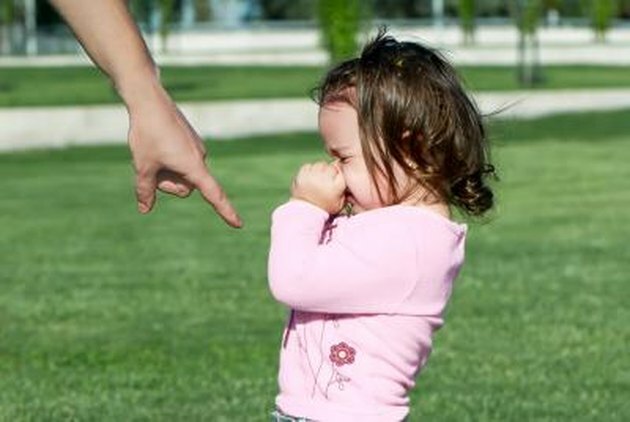 Indulgent parents make few attempts to direct their children's behavior. They avoid confrontation with their children and allow their children to make most decisions for themselves. Indulgent parents also tend to be particularly responsive to their children's needs. According to Nancy Darling, Ph.D., in the article "Parenting Style and Its Correlates," children brought up by indulgent parents have more behavior problems and lower grades, but tend to have higher self-esteem. Authoritarian parents believe their children's behavior should be controlled as much as possible. They set firm rules for their children and make sure they understand the consequences of breaking the rules. For example, according to an article in Social Work Research by Jeffrey Shears and colleagues, authoritarian parents agree more than others with the statement: "The most important thing to teach children is absolute obedience to whomever is the authority." In an article in the Journal of Abnormal Child Psychology, Machteld Hoeve and colleagues say children of authoritarian parents have a higher than normal likelihood of getting into trouble. Authoritative parents balance setting clear boundaries for their children and encouraging their children to think for themselves. They are warm and understanding of their children's needs, however, they do not let their children get away with breaking the rules. According to Gwen Dewar, Ph.D., in an article in Parenting Science, children of authoritative parents have a higher chance of being independent, well-behaved and successful later in life. Uninvolved parents do not create many rules for their children and show little responsiveness to their children's needs. The article "Parenting Styles Can Influence Children," from the University of Delaware, says children of uninvolved parents tend to experience more problems in life, ranging from a lack of emotional control to poorer than average academic performance. How Does It Affect Children When Their Parents Ignore Them?